Finally broke out the Urban Decay Apocalyptic Nail Kit that I purchased at Sephora in August. I purchased it at S$25 but it is now selling at S$45 in Sephora (guess the S$25 was a pricing error). 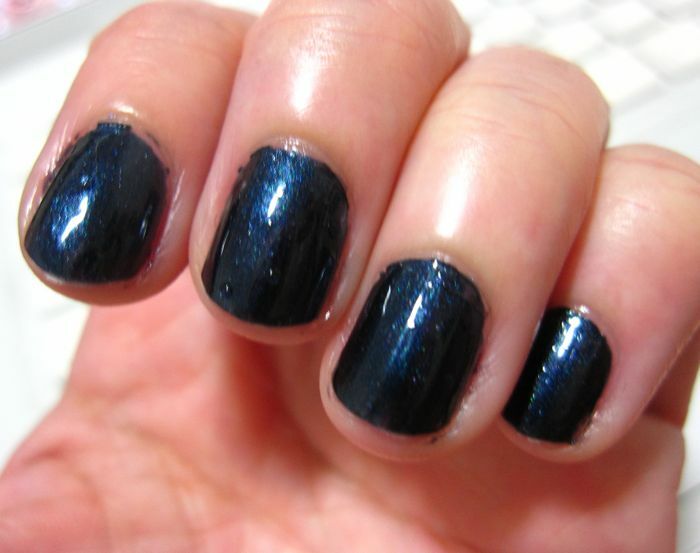 This is Grunge, which is described by Urban Decay as a metallic peacock but when applied, it looks more like an intense inky blue black with a delicate shimmer. The short brush handle makes it tricky to hold. I also wished that the bristles were a bit wider and covered more of the nail in one stroke. 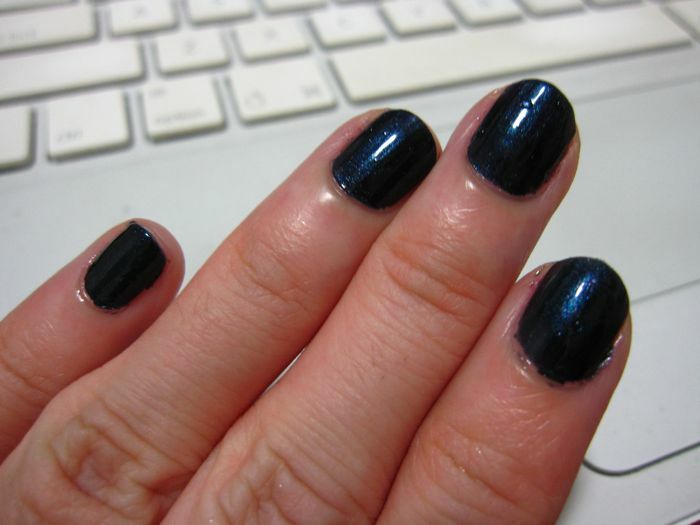 Nevertheless, the formula did apply quite smoothly with two coats being sufficient to achieve a nice opacity. 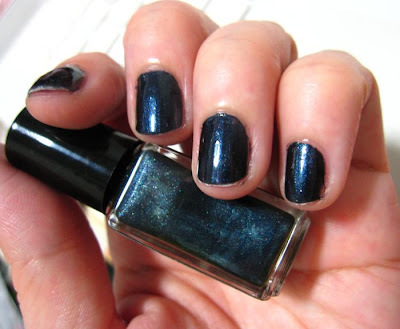 You can see excellent swatches of the Apocalyptic Nail Kit on Scrangie.com. I've left a comment before but didn't receive a reply. I've got an upcoming bloggers event that I'd like to invite you to. Can I kindly have your email so I can forward you the details? where did u get the floral dress for which u wore during the hip event from? It's from ASOS.com, the link is in the comments on that post.